Ref. 5707BA/12/9V6 features an alarm, GMT, power reserve and display back. 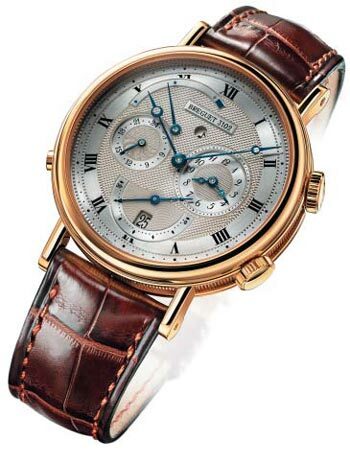 The case is in 18kt gold, with a solid gold guilloche dial that has been silvered, and blued Breguet hands.